Dirt Bike Helmets Buying Guide 2019 – What you need to know! Do I need a neck brace for motocross? How To Buy a Dirt Bike Helmet in 2019? How To Buy Dirt Bike Boots in 2019? Pirelli is typically a tire brand associated with high performance machines. Personally, I always think of the Pirelli sport winter tires that I put on my car. They are amazing! However, I am not on motocross advice to talk about car tires, I am here to talk about Pirelli dirt bike tires. The thing I like about Pirelli dirt bike tires is that they have obvious differences between categories of tires. There are the top preforming ones, and then ones that are good to use for training purposes but aren’t as high quality. Buying the training ones for training saves riders from having to fork out money for the most expensive tires when they aren’t needed. 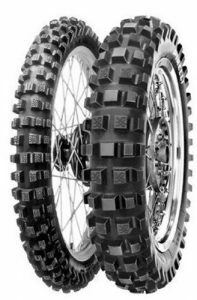 Throughout this article you can learn all about Pirelli dirt bike tires, and by the end, hopefully you will be able to tell if they are right for your ride! As you probably know, Pirelli makes a ton of tires! Here I will briefly describe them all and sort them into categories so you can easily see which ones will be right for you! 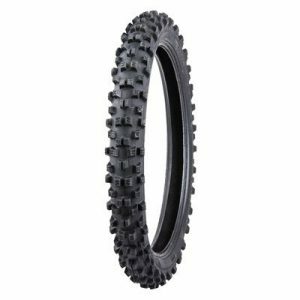 As the name suggests this is an all-out tire that is great for Enduro races. Both the front and back tires are directional and specifically designed that they can handle the wide diversity of terrain that can be found during an enduro race. The compound is cut and tear resistant so there is no longer a need to fear those jagged rocks. To allow for maximum comfort, the casing is relatively flexible which helps absorb energy, but also allows the bike to feel more planted on uneven ground. For those looking to try a tire that will be good on virtually any trail, the Scorpion Pro F.I.M is the monster you’ve been looking for. From my experience, the tires hold up very well too! Ready for a day in the deep sand? Has it been raining all weekend and now the once grippy dirt has turned into a slippery mud pit? Either circumstances suit the Scorpion MX Soft motocross tire to a tee. It is everything a sand tire should be. It has excellent self-cleaning properties thanks to its widely spaced knobs and the paddle like tread on the rear will ensure that your bike will dig deep for traction. Unlike a lot of soft terrain tires, the grip on flatter, harder corners is still there. These tires are great for those who like to push when the ground gets loose. This is what I consider to be Pirelli’s go-to motocross tire. It is designed for intermediate to soft terrain and is ridden all around the world by the likes of some amazing racers. The tire offers superb grip and sidewall damping which will help lesson rider fatigue. The block layout on these tires is V shaped which is designed to assist with braking stability and power. All of this is great, but my favorite thing about these tires is that they are available for mini bikes as well. Now the little shredders can rip on the exact same tires that some of their favorite pros do. This tire has proven its success in Europe for a while, and now it’s doing the same in North America. Looking for a solid motocross racing tire that will actually hold up to the abuse? Well the Pirelli Scorpion MX 32 Mid – Hard tire is one of my favorites. It is designed to be ridden on tracks where hard packed sections are not uncommon. If you’ve watched supercross, you’ve probably seen this tire at work. To help deal with the heat that is created on harder terrain tracks the MX 32 Mid – Hard is designed with rubber that is extra resilient to wear. This paired with a redesigned tread to find grip when it gets slippery makes the tire a true winner. You will also notice block lines between the knobs. This is to prevent tearing under hard acceleration. When a track is relatively hard packed, considering this tire will never be a bad move. This is a tire that you won’t see often on the track but can sometimes be a good choice. It is ready to take on had surfaces such as dirt roads and even rocks. To optimize contact, the tread spacing is tighter than other tires. This is mostly thanks to enlarged knobs. Like the Mid- Hard tire, this one is quite resilient to wear and will last the average rider for quite a while. This may not be the most used tire sold by Pirelli, but it certainly has its purpose! Alright so now I have given an overview of the top level motocross tires by Pirelli, it is time to take a look at ones that are just a small step down. Pirelli describes these tires as tires for “Professional Training, and Amateur to Semi-Pro Races”. I would not disagree but would like to add, “Or for riders on a budget”. This is because they are a bit cheaper than the top level tires. This is a sort of do it all tire and will serve you well from mid soft to mid hard terrain. The front tire is filled with arrow like knobs for cornering precision and grip. The rear tire is all about traction thanks to its large surface area. It is a little stiffer than some of the top level tires but this is why it is so versatile. The sidewall still has plenty of flex to it and overall it is a comfortable tire to ride with. It also holds up to wear very well and dare I say it, a little better than the higher end tires. This is essentially the same tire as what I just described above. Only this time, it is for mini bikes! 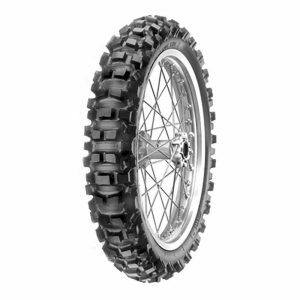 You can find these tires for bikes from 50cc to 100cc. This is a great option for those just riding for fun or weekend warriors. So now it’s time to take the motocross bike from the track, and put ride it on some cross country trails. Pirelli has two cross country options for dirt bikes and they are both pretty awesome. 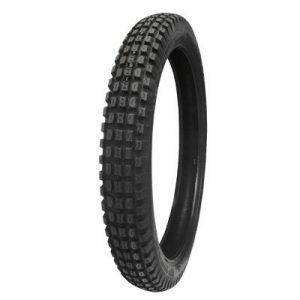 This is one of those tires that you want to throw on if you’re doing a cross-country race or Enduro that might feature some motocross track sections, or even just soft muddy areas. The polyester carcass deforms to give you a large foot print and find traction in the undergrowth. The tire holds up to the long distance style of racing and truly feels like an XC tire. The rigid front knobs are there to keep your steering precise while weaving through trees. 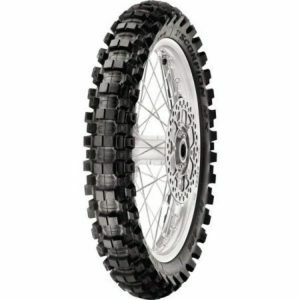 I even recommend this tire to the everyday trail riders who don’t use roads to commute from trail to trail. Here is a street legal tire that will survive any vicious and unconquered terrain. It is great for medium to hard packed surfaces which includes dirt roads, rocks, trails that aren’t just deep mud, and roots. It does not dig quite as much as the softer tire, but you won’t have trouble finding traction unless the terrain gets excessively loose. Lots of racers love these tires for their long lifespan and reliability. These tires are ready for any terrain. The large blocks create a ton of contact and the rear tire will hold up through anything. The MT 16 rear tire is often paired with other front options that are tailored to a more specific terrain. For example, rocky scenarios may call for the XC MH front tire, where when out in the woods you might want the deeper digging XC MS tire, or even the Scorpion F.I.M pro tire. 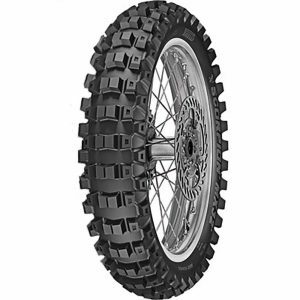 Overall the MT 16 tire is a unique idea to have, and the rear tire may prove especially useful to diverse riders. There are a ton of ways to ride a dirt bike. Trials may be one of the most unique. 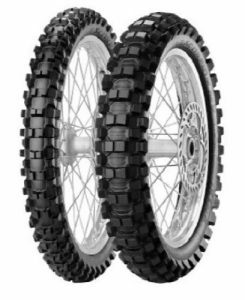 This calls for a special set of tires that will provide grip in a totally different way than a conventional motocross tire. Here is a tire that is designed to grip during rapid torque filled moments rather than the usual generic speeds. It is capable on wood ramps, rocks, metal, roots, dirt and even cement. Any terrain that is hard will suit these trials tires. If you have ever seen trials, you don’t need more of an explanation as to what these tires are designed to do. However, the knobs on these tires are not as soft as many other trials tires. So if you need that pure gummy feeling, it might not be the right tire. The strange thing is though, this is an awesome duel sport or even trail riding tire. The angle cut knobs work great on off camber sections and provide powerful braking. So personally, I recommend this as an excellent trail riding tire. If you want to ride only trials, something softer may be a better choice. On a last note, the tire isn’t half bad in the mud either which may come as a surprise to you. It did for me! Pirelli makes a lot of dirt bike tires. I think that is pretty evident. The most amazing thing to me though is that they all have their place. You can tell this is a trusted global company that is looking to take care of riders on any type of terrain imaginable. It is a company that makes it so you can’t just dislike their products, because they have so many. 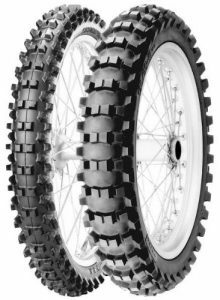 I would suggest that everyone tries a set of Pirelli dirt bike tires at one point or another because they really are outstanding. Hello and welcome to Motocross Advice! 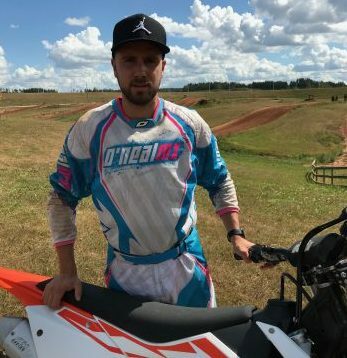 My name is Martin Varrand and I have been riding motocross since 4 years old. Since then I have been 2-times junior World Champion and 6-times Estonian Champion. I retired from PRO racing over 10 years ago and since then my focus is on helping other riders. From Motocross Advice you will find everything to ride faster, safer and more comfortable than ever before! Motocrossadvice.com is a participant in the Amazon Services LLC Associates Program, an affiliate advertising program designed to provide a means for sites to earn advertising fees by advertising and linking to Amazon.com. What are your emotions towards Motocross Advice? Do not hesitate to contact me! I would be happy to read your thoughts about my site and learn from them. With your help I can make this site as useful as possible. © 2019 Motocross Advice. All rights reserved.